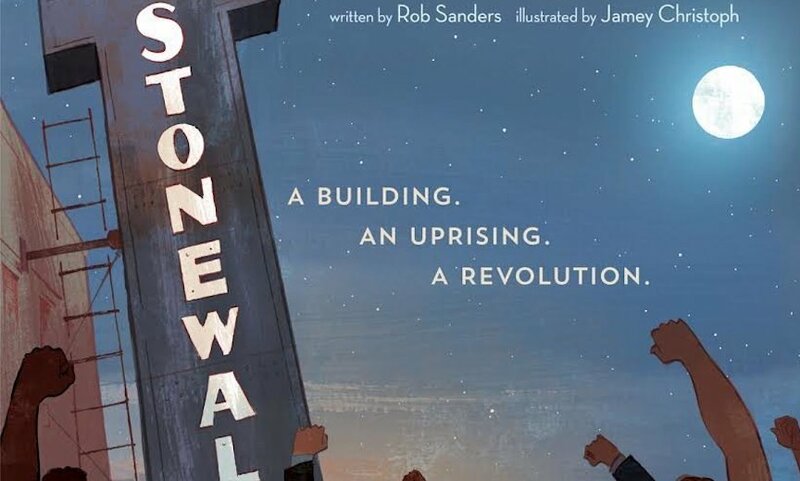 A new children’s picture book about the Stonewall riots will be on shelves and in bookstores by April 2019 — just in time for the 50th anniversary of the uprising. Not coincidentally, the book will sure to be a hot seller on the cusp of World Pride, which is scheduled for May 12 to June 30 in New York City — home to the historic nightspot and the LGBTQ park located just across the street. Rob Sanders’ “Stonewall: A Building. An Uprising.” A Revolution will also feature illustrations by Jeremy Christoph. In order to make the book kid-friendly, Sanders’ book relates the events from the perspective of the Stonewall Inn itself. He said he first got the idea for “Stonewall: A Building. An Uprising. A Revolution.” In 2016, when former President Barack Obama designated the inn and its environs in Manhattan’s West Village neighborhood as the country’s first national monument to LGBTQ rights. Clearly in the age of Trump, nothing that celebrates diversity will go unchallenged, and Sanders told the press that he’s expecting pushback. Parents could deny their children “the opportunity to grow in awareness and acceptance of others — or maybe even awareness and acceptance of themselves,” said the author. It’s the second foray into educating children about the equality struggle for Sanders, who earlier this year saw the release of “Pride: The Story of Harvey Milk and the Rainbow Flag.” That book deals with the political rise of the slain San Francisco politician and the creation of the flag by designer Gilbert Baker.